Drawing of a rabbit family and their home. 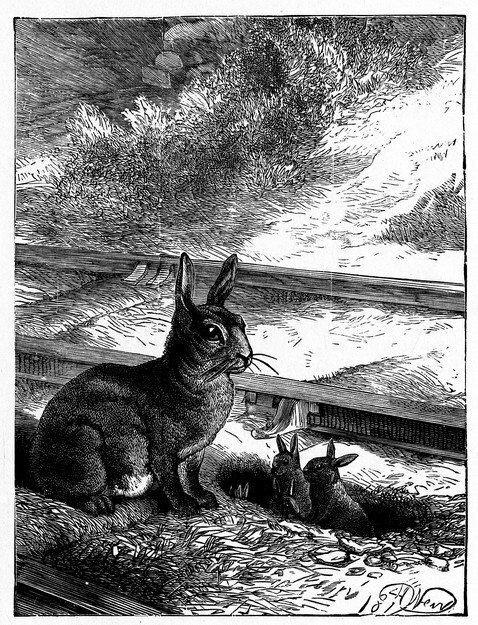 The mother rabbit sits beside her den as her four baby rabbits, or kits listen for the approaching train. The official illustrator for The Christmas Tree was Harrison Weir (1824-1906). It was published in 1885 with a number of Weir’s drawings along with publisher images often used to decorated headings and footers.